This agreement applies as between you, the User of this Web Site and Henagon Ltd, the owner(s) of this Web Site. Your agreement to comply with and be bound by these Terms and Conditions is deemed to occur upon your first use of the Web Site. If you do not agree to be bound by these Terms and Conditions, you should stop using the Web Site immediately. Our company name is Henagon Ltd (we trade as Printster at www.printster.co.uk). Our registered office is Unit 5 Hemingway Centre, Brunel Way, Thornbury, Bristol, BS35 3UR. Our VAT registration number is 944 6766 79. Our company registration number is 6082962. Registered in England and Wales. Any reference in these terms and conditions to “you” or “your” or “yours” refers to the Customer. “Web Site” means the website that you are currently using (www.printster.co.uk) and any sub-domains of this site (e.g. subdomain.printster.co.uk) unless expressly excluded by their own terms and conditions. 2.1 These Terms and Conditions shall apply to all orders received by Henagon Ltd (the Company) from a customer (the Customer) for supply of goods (the Goods) in the United Kingdom. No other conditions whether or not inconsistent with these Terms and Conditions shall apply. 2.2 Each order for Goods will be deemed to be an offer by the Customer to purchase the Goods upon these Terms and Conditions (the Order). A contract shall not be formed until either the Order is acknowledged via email by the Company or the Goods are despatched whichever is earlier (the Contract). 2.3 All Contracts are subject to these Terms and Conditions. No variation of these Terms and Conditions will be accepted by the Company unless previously agreed in writing. The Company reserves the right to refuse any Order without providing a reason. 2.4 Goods are subject to availability, in the event that the Company is unable to supply the Goods, the Customer will be informed as soon as possible. An alternative will be offered or a full refund will be given where the Company has already received payment for those Goods. 3.1 Customers entering into transactions with the Company expressly warrant that they are authorised to accept and are accepting these Terms and Conditions not only for themselves but also as agents for and on behalf of all other persons who are, or may become, interested in the Goods, whether in whole or part. 4.1 If Goods are being ordered from outside Henagon Ltd’s country of residence, import duties and taxes may be incurred once your Goods reach their destination. Henagon Ltd is not responsible for these charges and we undertake to make no calculations or estimates in this regard. If you are buying internationally, you are advised to contact your local customs authorities for further details on costs and procedures. As the purchaser of the Goods, you will also be the importer of record and as such should ensure that your purchase is in full compliance with the laws of the country into which the Goods are being imported. Please be aware that Goods may be inspected on arrival at port for customs purposes and Henagon Ltd cannot guarantee that the packaging of your Goods will be free of signs of tampering. 5.1 Whilst every effort has been made to ensure that all graphical representations and descriptions of Goods available from Henagon Ltd correspond to the actual Goods, Henagon Ltd is not responsible for any variations from these descriptions. This does not exclude our liability for mistakes due to negligence on our part and refers only to variations of the correct Goods, not different Goods altogether. 5.2 Henagon Ltd does not represent or warrant that Goods will be available. Stock level indications are not provided on the Web Site. 5.3 Henagon Ltd endeavours to ensure that all pricing information on the Web Site is correct at the time of going online. Henagon Ltd reserves the right to change prices and alter or remove any special offers from time to time and as necessary. Errors and omissions are excepted and the Company is not obliged to supply Goods at the incorrect price. In the unlikely event of a pricing error where an incorrect price is mistakenly advertised, Henagon Ltd will contact the Customer to provide the correct price and offer the option of cancelling the order or confirming your order at the correct price. 5.4 All prices on the Web Site include VAT (where applicable) at the current rates, unless otherwise stated. We reserve the right to express the price exclusive of VAT, but we will show VAT in the total price you pay. Henagon Ltd’s VAT number is 944 6766 79. 5.5 The colour of the product you receive may not match the colour as displayed by our website on your computer monitor. Please be aware that if colour is important to you, your order is placed at your own risk. If you intend to place an order for a large number of items, we recommend you place a smaller sample order first. 5.6 We are not always able to reproduce colours exactly on Goods which are personalised or made to order using a customer’s photograph or a customer’s choice of colour. We are not always able to reproduce colours exactly when printed on personalised Goods by using CMYK, RGB or Pantone values – there may be a colour difference. Alignment and positioning of artwork cannot be guaranteed but we will endeavour to position all artwork to achieve the best results we can. 5.7 Where a design service is offered by us we will endeavour to meet your design requests and requirements but reserve the right to reasonably disregard a requirement without notice if we are unable to meet the requirement or if we feel the requirement is unreasonable. 5.8 Where a preview of your product or design is supplied to you this may not represent the actual finished product and we accept no liability for any differences. 5.9 In using our image/photo upload facility, or by supplying an image/photo with your order, you agree not to upload, send or print any images that will cause distress or offence to any person. It is your responsibility to ensure that the appropriate express permission for any images you use in connection with your order has been granted by the owner of all images you supply to Henagon Ltd. Henagon Limited reserve the right to refuse any order that might cause offence or distress (in such a case we will refund your payment for the order). Henagon Limited will not be responsible for any copyright infringement by the customer. In using our image/photo upload facility, or by supplying an image/photo with your order, you agree to allowing Henagon Ltd use the image as necessary to fulfill the order. 6.1 The Company may at its sole discretion agree to set up a Customer on a credit account. Standard method of payment for credit accounts is by direct debit and such Customers should set up a direct debit payment arrangement with the Company. Credit accounts have net monthly payment terms i.e. full payment of invoice is due on the last day of the month following month of invoice. The Company may, at its sole discretion, accept payments by debit card, credit card, cheque, PayPal or BACS. 6.2 All other accounts including prepayment accounts and all other purchases require payment at time of order placement. The Company may, at its sole discretion, accept payments by credit, debit card, cheque, PayPal or BACS. 6.3 If any sum payable is not paid when due for example, by failure of the direct debit payment, that sum will bear interest from the due date until payment is made in full at 4% above Santander UK PLC Bank base rate in force from time to time and the Company will be entitled to suspend delivery of subsequent Orders and any agreed discounts until the outstanding amount has been received. 7.1 We will deliver the Goods ordered by the Customer to the address which the Customer provided for delivery at the time of your order. We are not liable for any loss as a result of an incorrect address supplied by the Customer. 7.2 We do not deliver outside the UK. 7.3 Any orders that are not to main land UK may incur additional costs. These will be advised to the Customer prior to the Order being despatched. 7.4 We make every effort to dispatch and deliver goods within the timescales we specify. The Company will not have any liability to the Customer for direct, indirect or consequential loss howsoever caused (including as a result of negligence) by any delay or failure in delivery or dispatch. This includes delays outside of our control, such as courier delays, delays caused by bad weather and other delays caused by anything outside of our control. 7.5 The timescales we quote for dispatch, production or packing are a guideline estimate and are not guaranteed unless otherwise stated. Timescales will start from the day after we receive payment for your order and suitable artwork or photographs from you where applicable (excluding bank holidays and weekends). 7.6 The timescales we quote for delivery are also a guideline and are not guaranteed unless otherwise stated and can vary according to the delivery service provider chosen by the Customer. 7.7 We offer different shipping methods to allow our customers to choose the most suitable for them. We reserve the right to change the shipping methods we offer at any time without notice. All shipping methods are subject to availability. 7.8 Henagon Ltd will notify you by way of email when your goods are to be dispatched to you. 7.9 If you do not receive the Goods ordered by you within 28 days of the date on which you ordered them, we shall have no liability to you unless you notify us by email at sales@printster.co.uk within 40 days of the date on which you ordered the Products to inform us of the problem. 7.10 If you have chosen a Royal Mail service as your delivery method and you have not received your order as expected, you must check with your local Royal Mail delivery office even if you have not received notification from your postman that they are holding mail for you. Your local Royal Mail delivery office will be able to tell you if they are holding mail for you if you give them your name and full address. 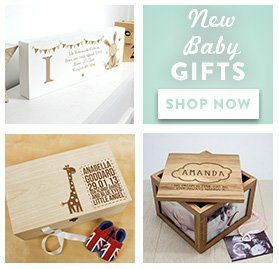 7.11 In the event that your order is returned to us as undelivered by Royal Mail or any other Carrier, we reserve the right to charge an administrative fee of the sales price of the Goods, plus £15+vat. 7.12 In the event your order does not arrive within the estimated timescales presented to you at the time of your order we can not issue a refund or replacement until 7 days has passed since the date of dispatch. After 7 days, if your order has not been located we will offer you a full refund or a replacement. If you order arrives or is returned to us for any reason before the 7 days has passed, we will not be able to offer a refund or replacement. 7.13 In the event your order does not arrive within the guaranteed timescale offered to you at the time of your order, we will refund the cost of your postage but will not be liable for any further costs. 8.1 For many items, you have the legal right to cancel an order within 7 working days of receiving the goods. However, this does not apply to items which have been made to order or personalised for you. Goods which have been made to order cannot be refunded, returned or exchanged. 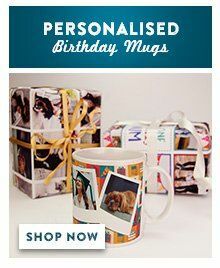 8.2 We cannot cancel an order once an item has been sent to production to be printed, personalised or made. If you wish to cancel an order for goods which are to be personalised you must do so before it is sent to production. Please note, some orders are sent to production immediately to ensure a fast service. 8.3 Order cancellations must be made by email to sales@printster.co.uk quoting your order number before we have dispatched the goods to you. 8.4 Where goods have already been dispatched to you, the goods must be returned in accordance with our Returns and Exchange procedure below. 8.5 Henagon Ltd reserves the right to cancel your order at any time and issue a full refund, for any reason. 8.6 The provisions of this clause do not affect your statutory rights. 9.1 If you are not completely satisfied with the Goods you have received, return them to us within 14 days of receiving the Goods (or 30 days if the Goods are faulty). If the Goods are returned to us within 14 days (or 30 days if the Goods are faulty) we will issue a full refund including postage and packaging, or an exchange. The costs of returning the Goods to us shall be borne by you. 9.2 You are responsible for the Goods until they reach us. We recommend you use a reputable carrier who fully insures you for the full value of the Goods as we cannot be held responsible for lost or damaged Goods. 9.4 If you return an item due to an error on our part, or because the item is faulty, damaged or defective, we will replace the item (if possible) or refund the full value of the item. We will refund your postage costs if a postage receipt is provided. The items must be returned to us within 30 days of delivery. 9.5 We cannot accept any liability for any loss or inconvenience caused by Goods which are damaged in transit. We endeavour to pack Goods adequately to help protect from damage in transit. If a replacement is requested in place of a refund, we will do our best to replace damaged Goods as quickly as possible but our standard dispatch and delivery times will apply to the replacement Goods. 10.1 All goods supplied by the Company to the Customer shall remain the property of the Company until such time as the Company has received payment in full for the Goods and of all other moneys due to the Company from the Customer. After delivery of the Goods to the Customer or his nominated sub purchaser, the Goods shall be at the Customer's risk and the customer shall insure those goods against loss or damage. Until such full payment is received the Customer shall maintain the separate identity of those Goods. 10.2 Until such time as title of the Goods shall pass to the Customer in accordance with the foregoing provision, the Company shall be entitled at any time to repossess the Goods whether with or without notice and the Company and its employees or agents shall have the right at any time to enter upon the premises of the Customer for the purpose of effecting such repossession. 11.1 Goods are supplied according to the descriptions and specifications given in the relevant websites, catalogues or marketing materials of the Company. Unless otherwise advised to the Customer on acceptance of the Order the Company gives no warranty other than that offered by the manufacturers of the Goods. The Company makes no representation as to the suitability of fitness of any goods for any particular purpose unless expressly given or made in Company brochures or websites. For details of manufacturer’s warranties, refer to the Company’s catalogue or to the manufacturers own description and specification. 11.2 In the event that an item is defective within the meaning of the Sale of Goods Act 1979 (as amended from time to time) the Company reserves the right, at its absolute discretion, to replace or repair the Goods as an alternative to refunding the purchase price. 11.3.8 the Customer has failed to notify the Company of any visible or suspected defects or damage within 3 days of delivery where the defect or damage should be apparent on reasonable inspection, or within 5 days of the same coming to the knowledge of the Customer where the defect or damage is not one which should be apparent on reasonable inspection. 11.4 Any Goods returned under this condition 11 must be accompanied by a returns note, which the Company will supply to the Customer upon request. Failure to do so will render any claim for credit/refund null and void. Any credit/refund will only be raised after satisfactorily passing inspection by the Company. The Company reserves the right to request photographic evidence. The Company accepts no responsibility for Goods whilst in transit back to the Company. 11.5 Where a breakage has occurred or it is suspected that the Goods have been tampered with or misappropriated in any way the Customer should retain the complete packaging and the Company and the carriers should be notified immediately. Claims cannot be considered unless these conditions are observed. 11.6 No replacements are available whilst goods are exchanged, replaced or repaired. 11.7 Except as set out in this condition 11, the Company hereby excludes to the fullest extent permissible in law, all conditions, warranties and stipulations, express (other than those set out in the Contract) or implied, statutory, customary or otherwise which, but for such exclusion, would or might subsist favour of the Customer. 12.1 To register at www.printster.co.uk you must be over 18 years of age. 12.2.3 you will keep this information accurate and up-to-date. 12.3 Your creation of an Account is further affirmation of your representation and warranty. 12.4 It is recommended that you do not share your Account details, particularly your username and password. Henagon Ltd accepts no liability for any losses or damages incurred as a result of your Account details being shared by you. If you use a shared computer, it is recommended that you do not save your Account details in your internet browser. 12.5 We may suspend or cancel your account at our reasonable discretion or if you breach any of your obligations under these terms and conditions. 14.1 Henagon Ltd makes no warranty or representation that the Web Site will meet your requirements, that it will be of satisfactory quality, that it will be fit for a particular purpose, that it will not infringe the rights of third parties, that it will be compatible with all systems, that it will be secure and that all information provided will be accurate. We make no guarantee of any specific results from the use of our Services. 15.1 Henagon Ltd reserves the right to change the Web Site, its Content or these Terms and Conditions at any time. You will be bound by any changes to the Terms and Conditions from the first time you use the Web Site following the changes. If Henagon Ltd is required to make any changes to Terms and Conditions relating to sale of Goods by law, these changes will apply automatically to any orders currently pending in addition to any orders placed by you in the future. 16.2 Henagon Ltd accepts no liability for any disruption or non-availability of the Web Site resulting from external causes including, but not limited to, ISP equipment failure, host equipment failure, communications network failure, power failure, natural events, acts of war or legal restrictions and censorship. 17.1 All Content included on the Web Site, unless uploaded by Users, including, but not limited to, text, graphics, logos, icons, images, sound clips, video clips, data compilations, page layout, underlying code and software is the property of Henagon Ltd, our affiliates or other relevant third parties. By continuing to use the Web Site you acknowledge that such material is protected by applicable United Kingdom and International intellectual property and other laws. 17.2 You may not reproduce, copy, distribute, store or in any other fashion re-use material from the Web Site unless otherwise indicated on the Web Site or unless given express written permission to do so by Henagon Ltd.
18.1 This Web Site may contain links to other sites. Unless expressly stated, these sites are not under the control of Henagon Ltd or that of our affiliates. We assume no responsibility for the content of such web sites and disclaim liability for any and all forms of loss or damage arising out of the use of them. The inclusion of a link to another site on this Web Site does not imply any endorsement of the sites themselves or of those in control of them. 20.1 Henagon Ltd reserves the right to withdraw any offer, promotion, discount or discount code at any time. 20.2 Discount codes distributed by Henagon Ltd exclude postage and packaging unless otherwise stated. 20.3 Discount codes apply to the base product price only and exclude options offered with the product for example the following are excluded: Jelly Beans, Chocolates, Gift Boxes, Coasters offered with a personalised mug or Extra Photos or Extra Lines of Text on T-Shirts. This is not an exhaustive list. Please enquire for more details if you are unsure. 20.4 Discount codes can not be used with any other offer unless otherwise stated. 21.1 These terms and conditions together with any specific rules set out in Competition Notices (as defined below) are the Competition Rules ("Rules") and apply to competitions ("Competition") featuring on any Henagon Ltd Internet site or publication unless otherwise expressly stated. By entering a Competition, entrants agree to be bound by these Rules. 21.2 Rules specific to each Competition are displayed in a notice on the page for such Competition ("Competition Notice") or in a notice in which the Competition appeared and are incorporated into the Rules. In the event of discrepancy between these terms and conditions and the Competition Notice, the Competition Notice shall prevail. 21.3 Henagon Ltd reserves the right to cancel or amend Competitions or the Rules without notice in the event of a catastrophe, war, civil or military disturbance, act of God or any actual or anticipated breach of any applicable law or regulation or any other event outside Henagon Ltd's reasonable control. Any changes will be posted either within these terms and conditions or the Competition Notice. 21.4 In the event of any dispute regarding the Rules, conduct, results and all other matters relating to a Competition, the decision of the judge(s) shall be final and no correspondence or discussion shall be entered into. 21.5 To qualify to enter the Competition you must be resident in the United Kingdom. The address (or email address) you provide with your competition entry ("Entry") may be used to contact you and send any prizes so please make sure this is correct. 21.6 Employees of Henagon Ltd and their immediate families, persons connected with the competition/prize draw and their immediate families i.e. prize sponsors, newsagents, wholesalers and their agents are not eligible to enter the Competition. 21.7 Henagon Ltd assumes that by reading the publication or by using the website and entering the Competition (and you warrant that) you are aged 18 or over or, if you are under 18, that your parents have consented to your entry into the Competition and these Rules. 21.8 Henagon Ltd reserves the right to disqualify any entrant if it has reasonable grounds to believe the entrant has breached any of the Rules. 21.9 Competition entries must be made in the manner and by the closing date specified on the Competition Notice. Failure to do so will disqualify the entry. 21.10 Prize winners will be chosen at random, unless specified otherwise in the Competition Notice, from all qualifying Entries within 28 days of the closing date specified in the Competition Notice. In all matters, the decision of the judge(s) shall be final and no correspondence or discussion shall be entered into. 21.11 Prizes are awarded at the discretion of Henagon Ltda nd no prizes will be awarded as a result of improper actions by or on behalf of any entrant. 21.12 In consideration of Henagon Ltd agreeing to consider entrants to the Competition, each entrant hereby agrees that Henagon Ltd (and third parties authorised by Henagon Ltd) may make any and all Entries available in their publications and on their websites and any other media, whether now known or invented in the future. You now grant Henagon Ltd (and third parties authorised by Henagon Ltd) a non-exclusive, worldwide, irrevocable licence (for the full period of any rights in the Entry) to use, display, publish, transmit, copy, make derivative works from, edit, alter, store, re-format, sell and sub-licence the Entry for such purposes. 21.13 Your entry and any information submitted by you must be personal to and relate specifically to you. You hereby warrant that your Entry and all information which you submit and/or distribute will not infringe the intellectual property, privacy or any other rights of any third party, and will not contain anything which is libellous, defamatory, obscene, indecent, harassing or threatening. If relevant, Henagon Ltd reserves the right, but not the obligation, to screen, filter and/or monitor information provided by you and to edit, refuse to distribute or remove the same. 21.14 Winners may be requested to take part in promotional activity and Henagon Ltd reserves the right to use the names and addresses of winners in any publicity both in paper and online. 22.1 To the maximum extent permitted by law, Henagon Ltd accepts no liability for any direct or indirect loss or damage, foreseeable or otherwise, including any indirect, consequential, special or exemplary damages arising from the use of the Web Site or any information contained therein. Users should be aware that they use the Web Site and its Content at their own risk. 22.2 Nothing in these Terms and Conditions excludes or restricts Henagon Ltd’s liability for death or personal injury resulting from any negligence or fraud on the part of Henagon Ltd.
22.3 Nothing in these Terms and Conditions excludes or restricts Henagon Ltd’s liability for any direct or indirect loss or damage arising out of the incorrect delivery of Goods or out of reliance on incorrect information included on the Web Site. 25.1 These terms and conditions and the relationship between you and Henagon Ltd shall be governed by and construed in accordance with the Law of England and Wales and Henagon Ltd and you agree to submit to the exclusive jurisdiction of the Courts of England and Wales.